There are many products that can be produced with rubber; from shoes, floor types, ornaments, space coatings, and much more product can be made with rubber. 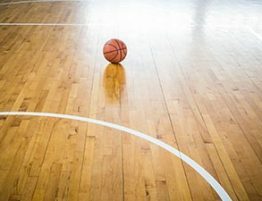 Possibly, you can see rubber floor in areas such as, walking paths, basketball courts, volleyball courts and especially in the parks around you and in other similar areas. Moreover, rubber doesn’t have a stable color so it’s highly possible to run across with multicoloured and patterned rubber floors. As long as the desired colors and patterns are pre-determined. So, what is a rubber floor? What are their features and where do they usually apply? Let’s try to learn in our article. What Is It Like The Rubber Floors? Especially in professional competitions around the world, it is possible to come across with rubber floors. This type of floor which prevents the injury and mutilation of athletes who are in motion is used in many areas. The rubber flooring is soft and very aesthetic. It can easily be applied to desired indoor and outdoor places, besides, it has no harmful effect on health. 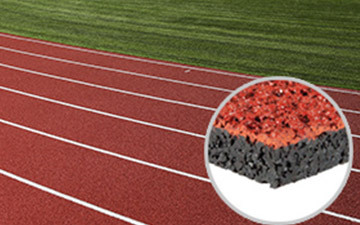 If you are curious about the contents of rubber floors; it’s made with mixing the granular and polymer based materials. In Which Areas The Rubber Floors Are Used? 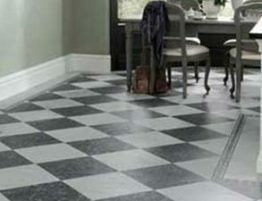 Rubber floors are used in many areas. Apart from the mentioned, you can use it anywhere else. Rubber floors are used in the parks, city interiors walking roads and coastal walking roads. 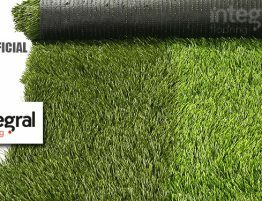 Children’s playgrounds, fitness centers, kindergarten gardens, main entrance of barracks, pool sides, garden entrances, basketball halls, football fields, tennis courts, shooting ranges, animal mats are made with this type of floor. Furthermore, rubber floor coverings are also used in cow bed and paddock. What Are The Rubber Floor Features? The most leading feature of the rubber floors is that they are flexible, in this way, they have a suspension feature. It has a shock absorbing feature when the athlete falls. It’s neither strict nor very soft material. The ball can easily jump over the ground, however it is not a very strict ground. It can be produced easily in any desired colors and patterns. The modification can be started in the area. One of the biggest features is that it is long lasting and durable. It is a type of floor with very high abrasion resistance and the discoloration supported with antioxidants. The product is suitable for outdoor conditions; not affected by rain, sun and snow. One of the most magnificent features of the product is that it does not hold water on it and it does not cause any slip even if it is wet. Rubber floors which are suitable for heavy and continuous use have a longer life when compared to other floor coverings. The product which is wear-resistant, is most demanded by children playgrounds. Children are the most valuable assets of everyone, therefore, both outside parks and play halls are often prefer rubber floors. The fact that children fall too much, rubber floors are ideally suited for them. Rubber floors, where children can easily fall and roll, are also commonly used in sports halls. By the way, rubber floors can be made in certain thicknesses. It is completely made according to your needs only. If desired, there may be lines on it. Not every company is an expert on rubber flooring! If you are going to get a rubber floor built, I would recommend you to contact the companies which produce the product and implement it directly.